The latest and greatest in individualized information is the “micro-site.” Instead of sending members to one huge, jumbled corporate site that speaks in generalities, cutting edge organizations are now setting up “micro-sites” specifically for individual groups of covered members to look, in detail at their benefits. 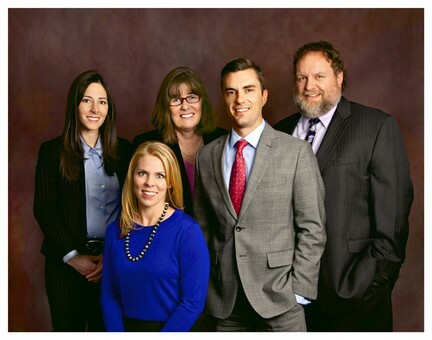 AFLAC, the Valley Schools Employee Benefits Trust (VSEBT) and the Health Plans For Arizona Cities and Towns (HPACT) have teamed up to provide a micro-site for their members who enroll in critical illness and critical injury policies. This site is available to their members to get current, accurate and detailed information about their specific plans, costs and coverage. Great work in customer service. Here is a link to the site so you can see one in practice. More insurers and trusts should provide such uniquely personal experiences for their members. There are several new personal improvement sites, and Arizona Health Spot will feature one per week for the next several months. The first is Mind Bloom. 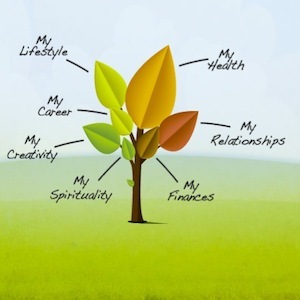 Through a simple online game, you set goals for each branch of your life tree and get rewards as you fulfill them. The thing is, the game is about your own life and goals, and helps your nurture your own life so you are a winner in the game of life yourself. Each area of your life is represented, so you “water” and tend each one. They are shown above. You might want to check it out. Berries could play an important role in clearing the accumulation of toxic proteins in the brain, according to a new study in mice. The research, presented at the Experimental Biology 2013 meeting, showed that the brains of rats that consumed berries for two months were better protected against radiation, which is meant to induce accelerated aging in the mice. Specifically, researchers found that the berry consumption was linked with increased autophagy, which is the natural process the brain undergoes to clear out accumulation of toxic proteins. They noted that phytonutrients — plant chemicals — in berries may be responsible for this effect; berries are known to be high in anthocyanins. Researchers said that the findings could be especially meaningful if they also apply to humans, since diseases like Parkinson’s and Alzheimer’s disease involve accumulation of toxic proteins. The next step is a study, currently being conducted, on humans ages 60 to 75 to see if berries’ have the same sort of effect. Even though the findings have yet to be published in a peer-reviewed journal — and thus should be considered preliminary — a past study from Harvard researchers showed that eating berries regularly could help slow cognitive decline in older people, HuffPost’s Catherine Pearson reported. 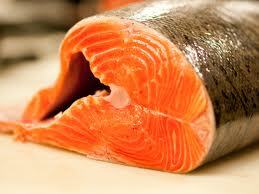 Omega-3 fatty acids can help lessen joint pain. Here’s how to get more of them in your rheumatoid arthritis diet. Adding omega-3 fatty acids to your diet won’t cure rheumatoid arthritis, but it just might help relieve some of your worst symptoms, like joint pain and stiffness. Omega-3 fatty acids are called essential fatty acids because your body needs them but can’t make them. That means it’s up to you to make sure they’re part of your diet. Shortchange yourself, and you could experience memory loss, heart problems, and even depression. Omega-3 fatty acids get high marks because they block inflammation and improve blood flow throughout your body. It’s important to know though that omega-3s aren’t a magic bullet for rheumatoid arthritis, and they’re not a first-line rheumatoid arthritis treatment. “The studies are good, but the evidence is still scant, and the effects are modest at best,” cautions Dr. Adams. It’s also important not to expect instant results. A review of 17 studies on the effects of omega-3s on a variety of inflammatory conditions including rheumatoid arthritis found that people did report benefits, including less joint pain and fewer minutes of that all-too-familiar morning stiffness, but it could take three to four months to really notice a difference. Coldwater fish. These are the fatty fish — think sardines, salmon, herring, swordfish, tuna, and mackerel. A 4-ounce serving of sardines will give you about 1.8 grams of omega-3s. Wheat germ and oat germ. Get the benefits of fiber along with omega-3s with these good sources. It takes 100 grams (about 3 ounces) of either wheat germ or oat germ to give you about 1 gram of omega-3. Nuts and seeds. The oils in nuts and seeds are some of the best sources for omega-3s. Just 1 ounce of walnuts serves up 2.6 grams of omega-3s, and 1 ounce of flaxseeds will give you 1.8 grams. Grind them up and sprinkle on as a topping for yogurt, for instance. Almonds, pecans, pistachios, poppy seeds, pumpkin seeds, and sesame seeds are other versatile and tasty omega-3-rich seeds and nuts. Just watch portion sizes because these are all nutrient-dense foods that contain a fair amount of calories. Soybeans and greens. Soybeans and tofu are good sources of omega-3, and many leafy green vegetables are, too. Try spinach, lettuce, chard, turnips, kale, collard, and mustard greens. Many are also sources of calcium. “Getting enough calcium is important because people with rheumatoid arthritis are at [increased] risk for osteoporosis,” says Adams. Oils. 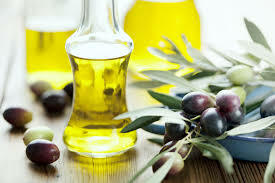 One reason the Mediterranean diet is so good for your heart is that at its base is olive oil. Oils made from olives, as well as soybeans, walnuts, and canola, are all good choices. The highest source of omega-3 is from flaxseed oil at 6.9 grams per tablespoon — try it in homemade salad dressings and marinades. Fish oils are also a good source. If you don’t like fish or nuts, but want to try boosting your omega-3 intake, consider supplements, typically capsules made from fish, seaweed, and nut oils. The maximum recommended dose is 3 grams of any omega-3 supplement. Omega-3 supplements may also cause diarrhea. If you are on a blood-thinning medication, be sure to check with your doctor before taking any omega-3 supplement. Your blood may get too thin and you could run into bleeding problems if you combine high doses of omega-3s with medications like aspirin or other non-steroidal anti-inflammatory drugs (NSAIDS) such as ibuprofen. Omega-3 fatty acids are a vital part of every diet, but they may be even more important if you have an inflammatory disease like rheumatoid arthritis. Explore the foods rich in this essential nutrient and you’re likely to find that this is one addition to your rheumatoid arthritis care plan that you can really enjoy. 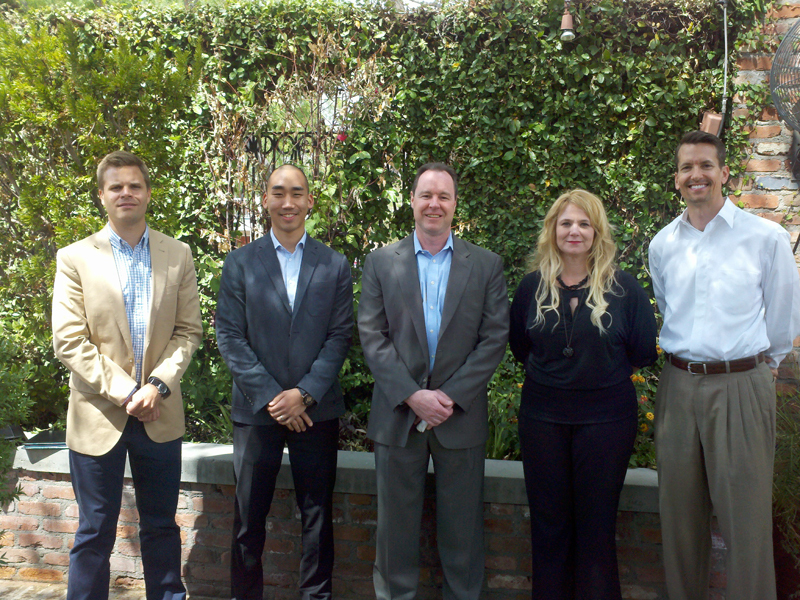 Madison Elementary School District Joins VSEBT, saves Big! The Madison Elementary School District (MESD) recently joined the Valley Schools Employee Benefits Trust (VSEBT) resulting in large savings in many areas. For life insurance coverage alone, the savings is 50% over previous costs. VSEBT was created by school districts, for school districts, in 1986 as a professional trust manager to provide the opportunity for school districts to work cooperatively in purchasing for better rates. During those years, school districts have experienced millions in savings each year. The Madison Elementary School District (MESD) has a long history of providing high quality education to its students, maintaining high test scores, and being a great place to work. By looking for innovative ways such as VSEBT to save money, MESD continues to provide these services to the community while remaining within the increasingly small education budget funding per pupil. Congratulations to MESD and VSEBT on this outstanding joint venture which will benefit the children, the staff, and the taxpayers with lower costs for benefits!